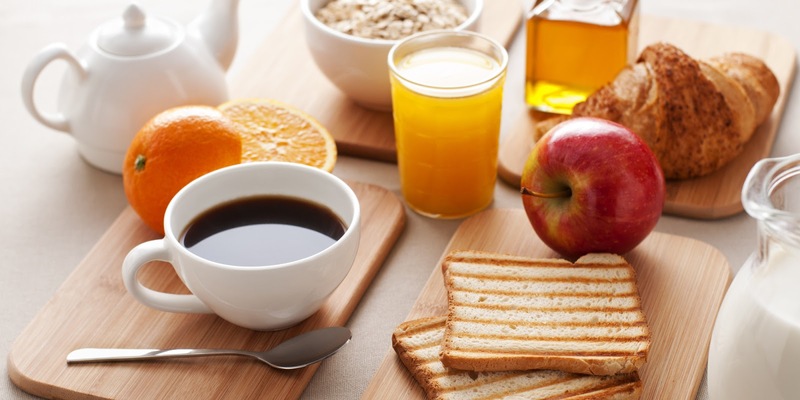 A recent study from Harvard School of Public Health (HSPH) adds to evidence that eating breakfast is important for good health. HSPH researchers found that men who regularly skipped breakfast had a 27 per cent higher risk of heart attack or death from coronary heart disease than those who did eat a morning meal. Non-breakfast-eaters were generally hungrier later in the day and ate more food at night, perhaps leading to metabolic changes and heart disease. The study was published recently, in the American Heart Association (AHA) journal Circulation. The scientists analyzed food questionnaire data and health outcomes from 1992-2008 on 26,902 male health professionals, ages 45-82. During the study, 1,572 of the men had cardiac events. Even after accounting for diet, physical activity, smoking, and other lifestyle factors, the association between skipping breakfast and heart disease persisted. “Skipping breakfast may lead to one or more risk factors, including obesity, high blood pressure, high cholesterol, and diabetes, which may in turn lead to a heart attack over time,” lead author Leah Cahill, postdoctoral research fellow in HSPH’s Department of Nutrition, said in an AHA statement. “It’s a really simple message. Breakfast is an important meal,” senior author Eric Rimm, associate professor of Epidemiology and Nutrition at HSPH, said in an online report. Other studies have pointed to a link between breakfast and obesity, high blood pressure, diabetes, and other health problems seen as precursors to heart problems. While the study group was composed mostly of white men, the results are likely to apply to women and other ethnic groups, but additional studies should be conducted, the researchers said. Other HSPH co-authors include Stephanie ChiuveandRaniaMekary, research associates the Department of Nutrition; Majken K. Jensen, assistant professor of nutrition; Alan Flint, research scientist the Department of Nutrition, and Frank Hu, professor of nutrition and epidemiology. This story was published in Newswatch Times on June 6, 2015.